We will be open for wine tasting from noon to 5 pm on both May 20 and 21. Wine club members will be able to pick up April wine club shipments. 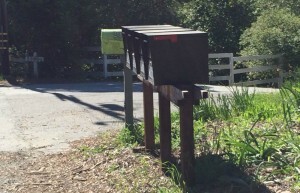 Keep in mind that we do not have signage at the top of the driveway–we suggest looking for the bank of mailboxes (black mailboxes and one bright green one) at 23076 Summit Road in Los Gatos. We will be pouring at this local community event. Cool cars, delicious food, and wonderful local wine. Runs from 10 am to 3 pm on Saturday, May 20. Festivities will be held at Christ Child Church, 23230 Summit Road, Los Gatos. We will be pouring at this annual food and wine tasting fundraiser that benefits mental health programs in Los Gatos schools. Los Gatos Lions Date Night runs from 7-10 pm on Saturday, May 20 at 983 University Avenue, near downtown Los Gatos. Here is a great itinerary for a fun day of wine tasting on May 20. Start your day at the Blessing of the Hot Rods, visit the winery, and then cap it all off at Date Night in downtown Los Gatos!